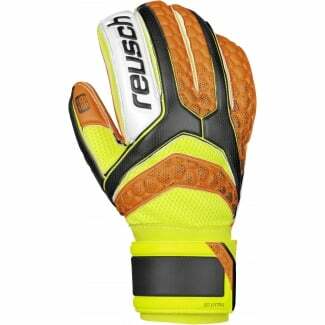 Reusch is an international brand famous for creating exceptional-quality goalkeeper gloves with innovative, performance-boosting features. 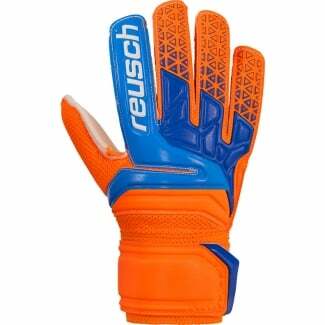 Reusch gloves offer tailored fittings, incredible grip abilities and extended movement ranges to create an essential piece of sportswear that promises to boost agility and technique for your best-ever game. 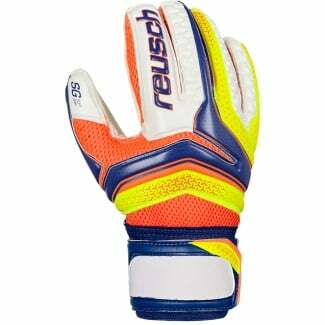 With almost 90 years of experience, German-born Reusch is a leading brand in sportswear design. 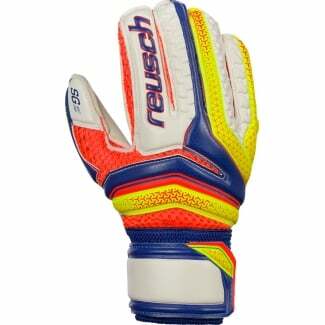 Today, it combines leading technology with experienced style to create its popular goalkeeper gloves. 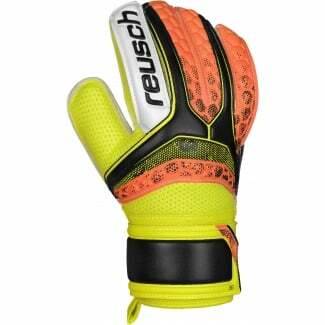 If you're serious about your sport and want to give your all in every game; Reusch goalkeeper gloves are designed for you. 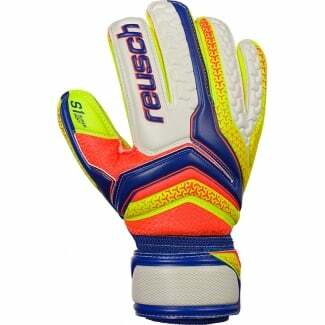 The soft-grip palm provides a reliable touch every time you make contact with the ball, while the Thumbflex technology boosts your movement range making it easier to catch, hold, throw, and defend the ball regardless of the speed and angle it takes to reach you. 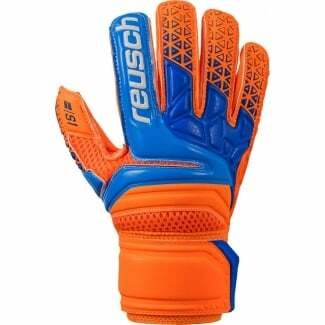 PVC material on the back of your Reusch gloves enhances durability — essential in fast-paced, high-impact games — and the ventilated structure keeps your hands feeling cool, fresh and ready. 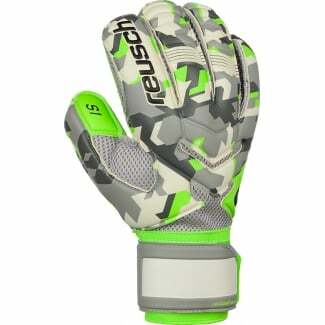 You also get a full-wrist, elasticated strap for maximum security and a comfortable, snug fit that won’t slip or hurt during games. 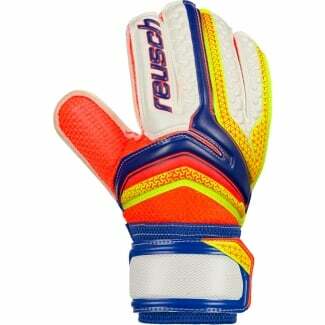 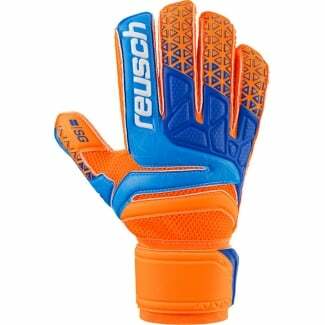 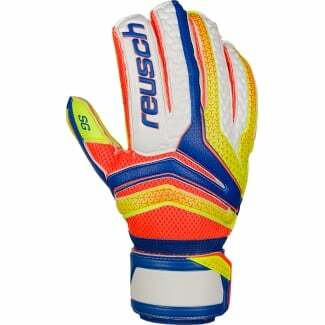 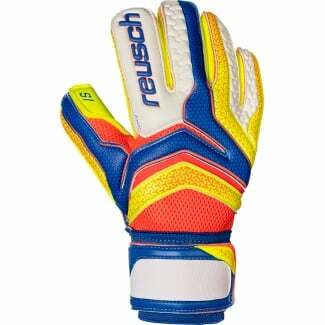 Choose from our junior and adult Reusch glove designs, or take a look at our other goalkeeper gloves before you buy.